Why would I need self storage in Redlands, CA? There are a variety of reasons why you might need self-storage in Redlands, CA. How much is a storage unit in Redlands, CA? The cheapest storage unit in Redlands, CA is $61.00 per month. What size storage units do you have available in Redlands, CA? In Redlands, CA we have sizes that range from 5'x5' to 10'x20' to suit your storage needs. How much is it for a 5'x5' storage unit in Redlands, CA? The cheapest 5'x5' storage unit in Redlands, CA is $61.00 per month. Located in California's San Bernardino County, Redlands is an affluent neighborhood that is home to a steadily growing population of families, young couples and singles. Nicknamed the "Jewel of the Inland Empire," Redlands has an architectural charm not often seen anywhere else in the state. The city is home to a vast array of companies, as well as a variety of arts, culture and entertainment. This includes dozens of historic buildings, museums, art shows and the Redlands Bowl, which opened in 1907 and remains the site of the oldest free-admission music festival in the country. Before permanent settlements, many Native American groups and Spanish missionaries lived in the Redlands area. In the 1860s and 1870s, a few groups of settlers, mostly sheep herders and small families, trickled through the area. However, the 1880s brought the railroad to Redlands, accompanied by a huge boom in population. Southern California was now connected to San Francisco and Salt Lake City, and the land spectators began flooding into the region. The Redlands area was recognized for its citrus growing potential, and it wasn't long before the town began to take shape. E.G. Judson, a New York City stock broker, and Frank E. Brown, a civil engineer, saw the opportunity to create a citrus empire. They established Redlands as a hub for the industry, naming it after the red color of the surrounding adobe soil. Using advanced irrigation techniques and workers from around the county, Brown and Judson helped Redlands become a prosperous citrus region. For over 75 years, it was the largest navel orange growing region in the world, with over 15,000 acres of orange groves by 1930. Throughout the 20th century, Redlands garnered national attention as the home of many philanthropists and successful businessmen. Several sprawling mansions were dotted around the city, and it was even visited by a handful of U.S. presidents. Throughout Redlands and the surrounding area, you can find jobs in almost any sector, including a large number of positions in education, retail and health care. Redlands is home to major companies like Esri, Home Depot, Amazon, La-Z-Boy and Redlands Community Hospital. With such a large employment base and a growing population, Redlands is expected to continue adding jobs well into the future.The city's unemployment rate is significantly lower than both state and national averages, which is good news if you're planning on joining the local job market. Schools in the city are part of the Redlands Unified School District. There are also several private schools in the area for students of all ages. 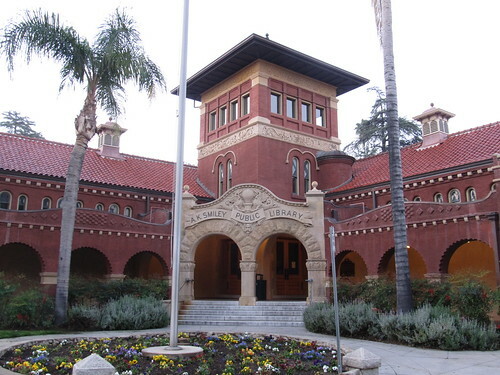 If you're looking to further your children's education or have children who will soon be applying to college, the city is also home to the University of Redlands, a private four-year liberal arts college. Utilities: Southern California Edison is the central energy provider in Redlands. The City of Redlands manages residential water and sewer services. Garbage and Recycling: The city provides curbside collection of trash and recyclables, as well as bulky item pick-up and a materials exchange program. Transportation: Omnitrans is the city's central provider of public transportation, with a series of bus routes connecting major points throughout the area. Because of demand, most homes throughout Southern California command a price that's well over the national average. However, Redlands' housing market is actually quite affordable when compared to other cities in the region. There's a mix of single-family homes and multi-family communities to consider, so you can find something to fit your preferences. Our lowest priced units in Redlands, CA average $61.00 per month. 47 people have reserved units in Redlands, CA in the past 30 days. There is 1 location within Redlands, CA's city limits.